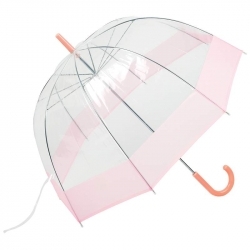 Conquer any inclement weather with the All-Weather(TM) 42' Pink and Clear Dome Umbrella. Protect yourself and see where you're going at the same time. Comes with storage sleeve for convenience, and a hook handle for easy one-handed carry. Measures 42' across, 32' from tip to end of handle when closed. 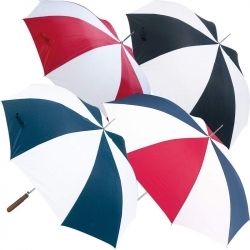 For sporting events, outdoor concerts or just a plain rainy day, this umbrella will please even the most discriminating owner. Features black EVA straight handle and measures 48' across the top. 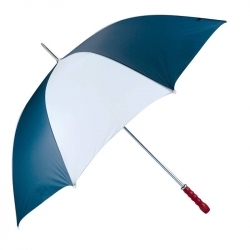 Rainy days are no longer an inconvenience with the All-Weather(TM) Mini Umbrella. 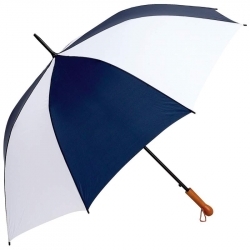 This 40' super-mini umbrella folds up to a compact 9' x 1-3/4' x 1-1/4' to carry in your purse or briefcase. The uni-chrome ribs, handle, and self-tips combine to make a sturdy and functional accessory. Comes in a black sleeve. 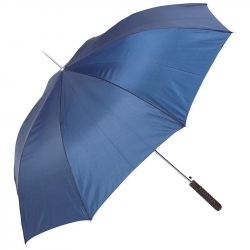 Don't forgo outdoor activities because you're unsure about the weather, take along the All-Weather(TM) Elite Series 60' Auto-Open Golf Umbrella for protection. 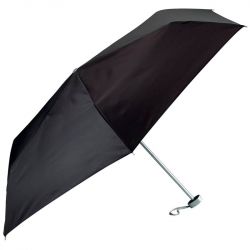 Measuring 60" across the top, this umbrella is ideal for sporting events, outdoor concerts or just a plain rainy day. Easy auto-open for instant coverage when needed. Big enough for two and those romantic walks in the rain. 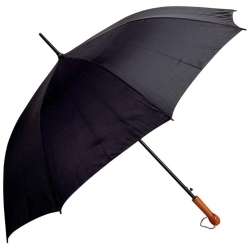 Sophisticated and handsome in black, this umbrella will please even the most discriminating owner. Features fiberglass shaft and ribs, wood handle, polyester panels, black plastic tips, hook and loop strap for closing, and storage sleeve. Limited lifetime warranty. Features metal shaft and straight wooden handle. Measures 48' across the top. 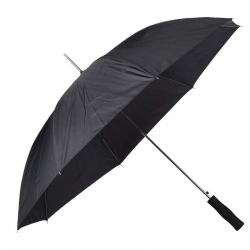 Wind, rain, or sunshine, the All-Weather(TM) Elite Series 60' Auto-Open Golf Umbrella opens to a full 60 inches, giving you protection from all the elements! Take it to the beach, the game, golfing, or for a slow, afternoon walk. Navy and white panels combine for a pop of color. Features fiberglass shaft and ribs; wood handle; and storage sleeve. Limited lifetime warranty. Features metal shaft and wooden handle. 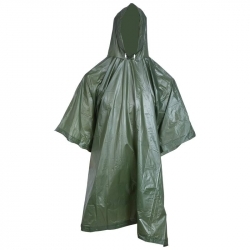 Large enough for 2 people to share during rain showers. Measures 41' from tip to end of handle and 60' across the top.